Suncoast ALA - Dogtoberfest - COME JOIN US! Dogtoberfest - COME JOIN US! 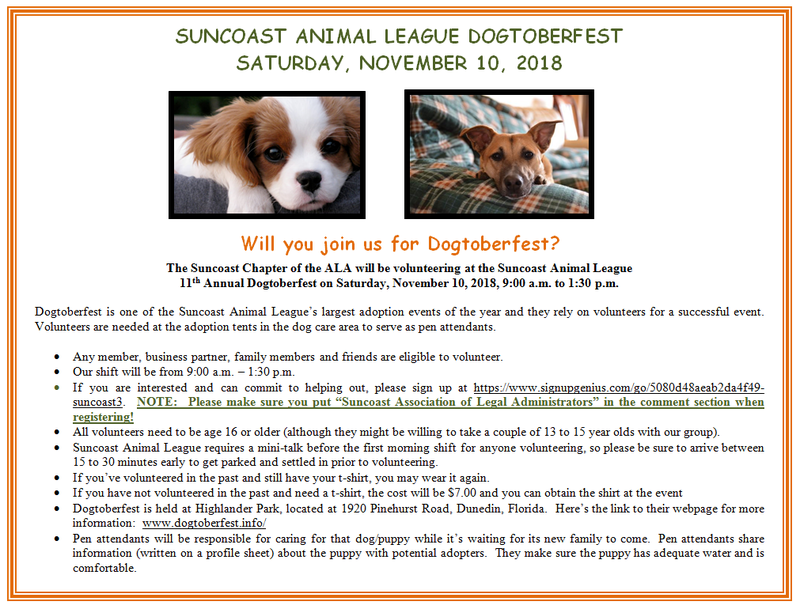 Our 2018 Community Connection event is Suncoast Animal League’s Dogtoberfest, which will be held on Saturday, November 10th. Suncoast ALA Members, Business Partners, Family and Friends will be volunteering in the adoption tent from 9:00 until 1:30. How much fun is that…can you say cute puppies and doggies finding their furever homes! Copyright © 2018 Association of Legal Administrators SunCoast Chapter. All rights reserved.